Hey all- I was selected as a finalist at Popcorn Horror.com Universal Monsters re-design contest! 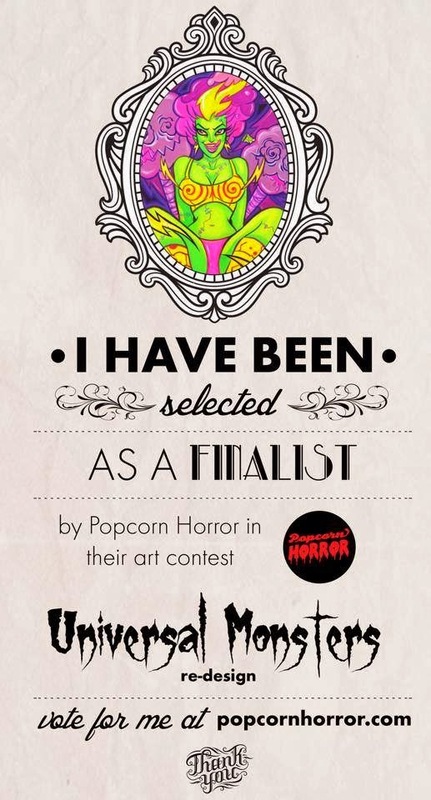 If you could go to the Popcorn Horror.com and vote for my art, it would be most appreciated! Would love to win this, but just happy to of been selected as a finalist. Thanks all and cheers! !